Hot Point Heating and Air Conditioning lets you know the exact price of the repair service before any work is done. There will never be surprise or hidden fees. Our Waukesha heating and cooling repair technicians will check for problems inside your appliances with a camera and show you exactly what is causing the problem. We then give you repair options and tell you what the price will be for each solution. Hot Point Heating and Air Conditioning will only start HVAC repairs after you agree. We do not charge by the hour, so you only pay for a repair service done right. 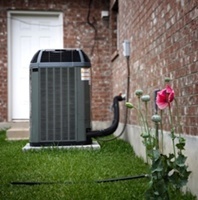 Dependable furnace and AC repair services in Waukesha are also available outside of normal business hours. You won’t be charged extra if you call us on nights or weekends for emergency HVAC maintenance. Our Waukesha County heating and cooling services are guaranteed to last. We provide a 1 year warranty on top of the 1 year manufacturer’s warranty for any part we replace. If an HVAC part happens to break and it was installed by Hot Point within the 2 year warranty, we will replace it completely free of charge. Did you know having your furnace and AC tuned up is like changing the oil on your car? If you don't change the oil on your car, it will leave you stranded. Reduce the risk of being uncomfortable in your home, over paying on utilities, or replacing the most expensive appliance in your home prematurely. Most HVAC systems are designed to last 10 years or more, however, a neglected system can fail in just a few years… resulting in substantial financial loss. Have your Waukesha heating and cooling system inspected regularly by Hot Point Heating and Air Conditioning, and we will provide special discounts on services. If you want your HVAC system checked up on and you have worked with us in the last year, you are automatically included in our service agreement HVAC maintenance guarantee. Contact Waukesha County heating and cooling technicians at Hot Point today for straight forward guaranteed pricing on HVAC maintenance.